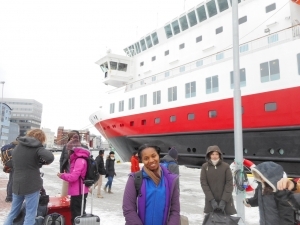 I found myself travelling back to Tromsø to fulfill my first secondment and learn more about fisheries. As soon as I was in Scandinavia and handed my passport to immigration, I was asked where I was going and why. I told the immigration officer I was going to UiT (University of Tromsø), to learn about fisheries. She said oh, you are going to the right place. That was a good start! Yes, I wanted to see Northern Lights, and yes, I wanted to see lots of snow. 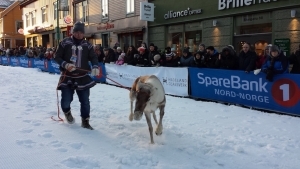 I also had in mind what I wanted to accomplish and why I was going to Tromsø. I wanted to go back to my roots in Biology and Marine Science. Lately, I have focused my time learning about visualization. I have done this from cosmopolitan and industrial Manchester, at the Center for Policy Modeling in Manchester Metropolitan University. During my secondment, I wanted to catch up on what is going on in Fisheries and learn more about fisheries in Northern Europe. I was given my own office in the College of Fisheries at UiT. 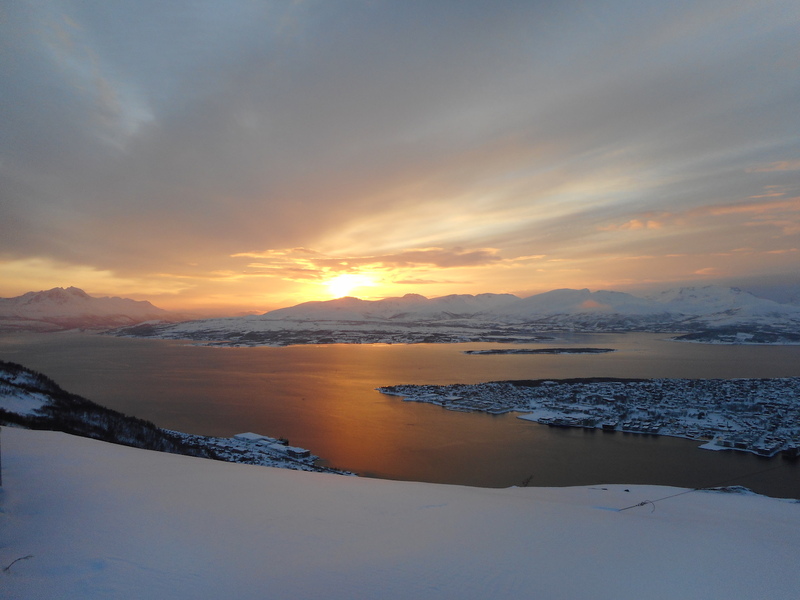 I had a great view of Tromsdalstinden, and Tromsø Sound. I had the same view in the nearby student housing. I was glad that sometimes, I could even hear the boats sounding their horns at the harbor. So far, my experience has only been reading articles about fisheries and its current state in Europe. Through this secondment, I finally I had the chance to learn more about the fascinating history of cod and how it is intertwined with Norwegian history. Vikings would use dry cod as a means of instant meal for their travels. Dry cod may last 40 years and still be edible. So, cod was basically a form of currency. 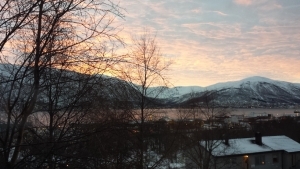 Due to “cod economics” I was fascinated to find out that Tromsø was the Paris of the North. The reason for this was not its architecture, but the tight commercial relationship between Italy and Tromsø. Cod was shipped to Italy and Italy would send the latest fashion back to Tromsø! I was eager to learn about fish species distribution. It finally made sense why quota sharing agreements in the North Atlantic is a reoccurring topic for deliberation. I have always known that species distribution is not static. Fish tend to move around due to different factors such as food and temperature. However, if you add to this climate change, shared fishing grounds and politics, you find all the interested parties trying to “predict” and adjust to what is going to happen, and where different fish stocks are going to move. Now that is real interdisciplinary work in action. Fisheries, Political Science, Law, Climate Science, trying to make sense of the data on where and how much can be fished. All this information made me think about how much I do not know about fisheries in my own country, Colombia. How much Colombia has tried to industrialize and not depend on natural resources. And how well Norway seems to be managing its own natural resources. I could say it was all about working or taking courses, but fortunately I had plenty of weekends to explore my surroundings. I was lucky to have the company of Charlie, a friend and fellow PhD colleague from SAF21 who is based at UiT. Shaheen who is also a fellow PhD from SAF21 also doing his secondment at UiT, and Ellie the Intern at UiT’s research group. Each one made my stay much easier and interesting. With Ellie, another newcomer, we could be tourists. 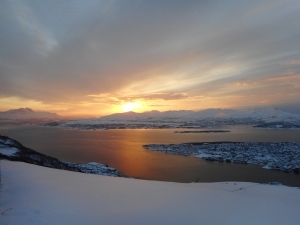 We went on random walks to see Tromsø and its surroundings. We even saw a reindeer race! It was very exciting. It was also an opportunity to see and interact with the Sami people. Later, I learned about their struggles as an indigenous group. Charlie, Shaheen, and I, joined the UiT PhD group for a night of Bowling. I met and talked to them and we exchanged ideas and experiences as doctoral students. Finally, the SAF21 group went to Prestvannet Lake in the middle of the island! It was a beautiful and fun walk. I managed to make snow angels, and see the locals going for a stroll/ski. I am glad to say, I enjoyed walking back home at night and seeing northern lights several times. One night, leaving the light pollution from UiT behind, we went to Telegrafbukta beach. It was a beautiful experience. On a different night, I also joined a Northern light tour, as I believe, I can never get enough of Northern lights. 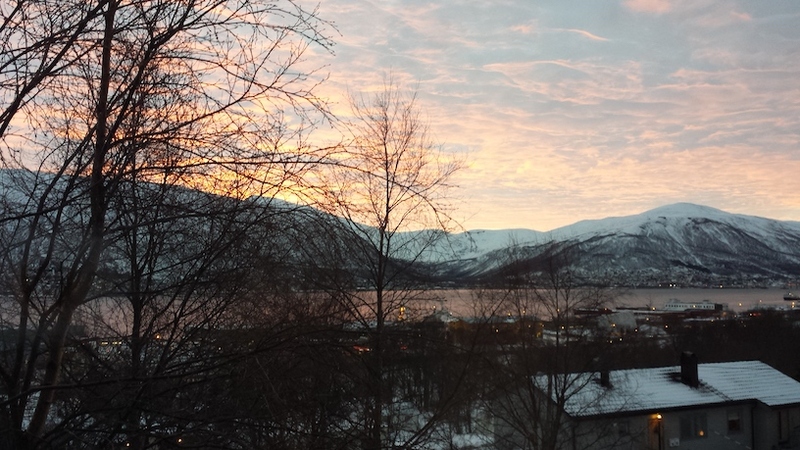 Tromsø surprised me in several ways: Primarily, I could interact with almost everyone, as everyone spoke English. At the Norwegian College of Fisheries Science, I was surprised when I mentioned I came from Colombia, several people spoke back to me in perfect Spanish. This surprised me because we were so far from a Spanish speaking country. On the last week of my secondment I took a course on Marine Sustainability. I met 23 PhD students with Theodora, a SAF21 colleague. It was a great group of interdisciplinary research. We came from different backgrounds and different geographic origins, but we managed to get along very well. These backgrounds included, Biology, Political Science, Shipping Commerce, and Geography. We came from different corners of the world such as Iran, Canada, Argentina, and Germany. We learned about Climate, Fisheries, Aquaculture, Coastal Communities and Governing the Ocean. 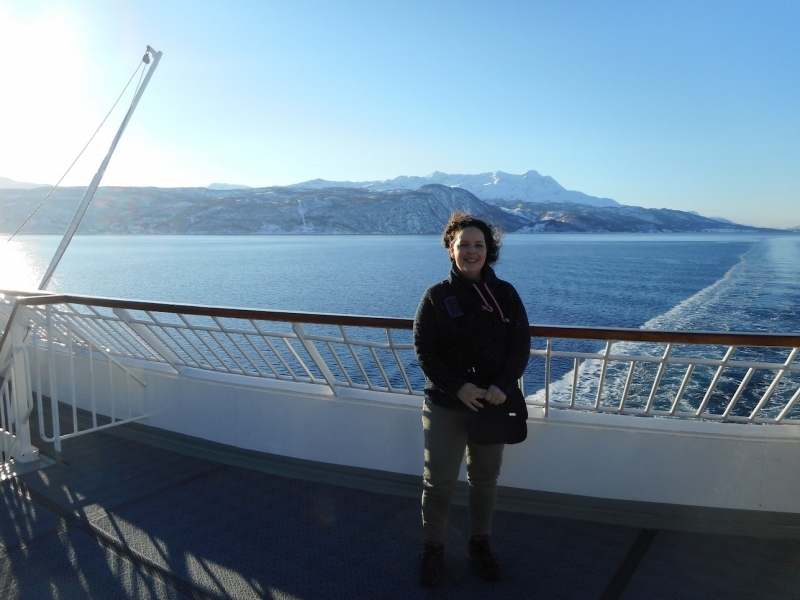 We started our journey in Bodø, where we took the Hurtigruten. The Hurtigruten is a cruise that travels the Norwegian coastline. We made a couple of stops and enjoyed the views of the fjords. We kept taking classes on the vessel until we arrived back to Tromsø. On my last day, I took the Cable Car to Mount Storsteinen. There, I enjoyed some of the most breathtaking views in my life.